My hubby has visited three continents till now. He is a fan of spicy yet healthy foods. This weekend he suggested me to try Mexican food. 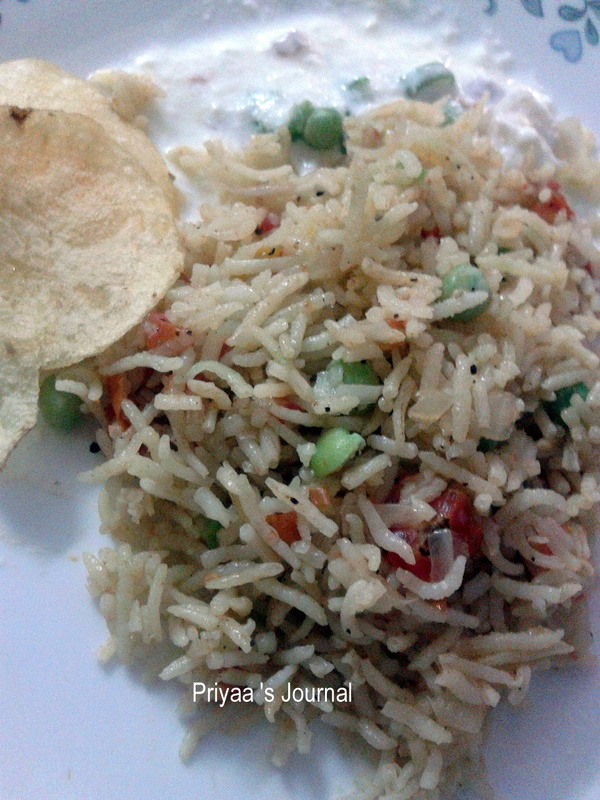 Since I am a rice lover, I chose Spanish Rice. This is called Arroz Mexicano (a) Mexican Tomato Rice. 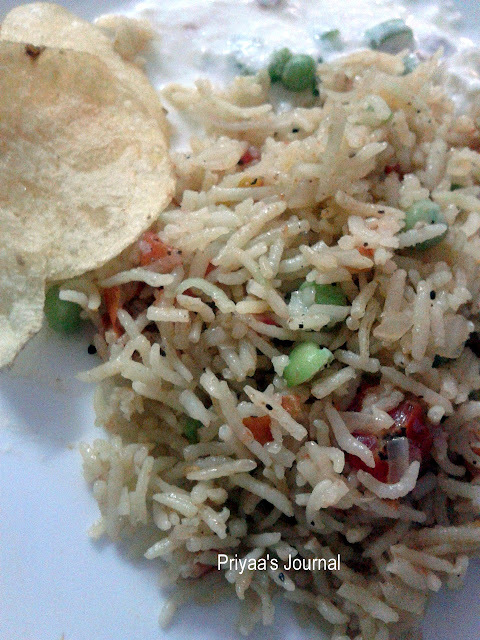 The recipe was without Indian masala and it was very spicy and healthy since it has vegetable broth to cook the rice. For broth, I used tomato,chillies, beans, peas in boiling water. I was quizzed that this recipe was similar to our normal tomato rice. But it was very different and yummy too. We loved the dish. I served it with potato wafers and spiced yogurt. Heat oil over a medium flame in a heavy-bottomed 4-quart pan. Add the green onion and green chiles and cook for 3-4 minutes. Add the garlic and rice and cook for 3-4 minutes more. Add the tomatoes and broth, stir well, taste, and stir in any salt and/or pepper that may be necessary. Bring to a boil. Immediately reduce heat to low, cover, and cook for 15-20 minutes or until rice is tender and air holes appear at the top of the mixture. Remove from heat, fluff with a fork and serve.